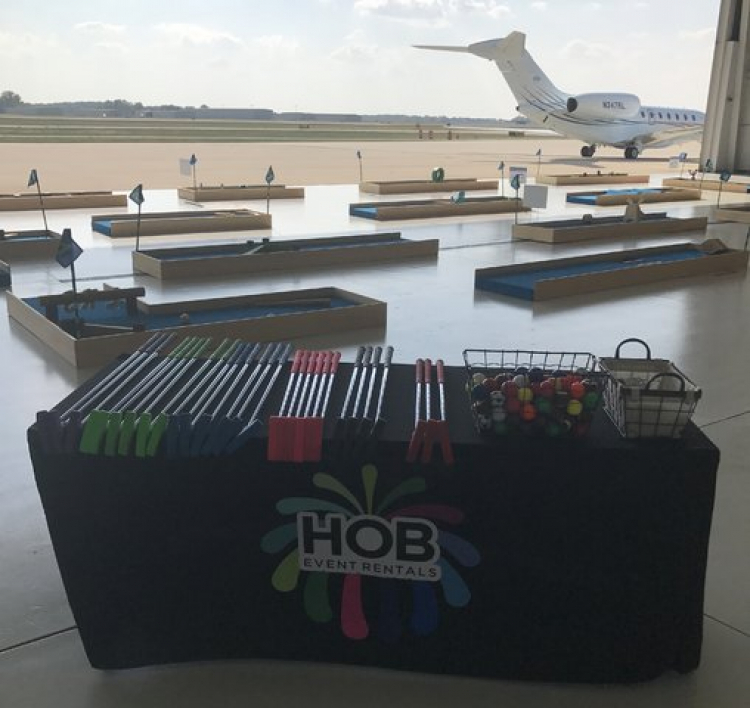 Our portable putt putt course is one of a kind and we are the only company in central Illinois offering a miniature golf course. Every hole has a unique obstacle for a certain level of difficulty. It is perfect for corporate outtings and team building to bring out that competive spirit in anyone. It includes 27 Balls, 27 putters, scorecards, and pencils just like you are at your favorite past time course. Great for offering prizes to the winners for your event to keep your office talking about the outting for weeks afterwards. 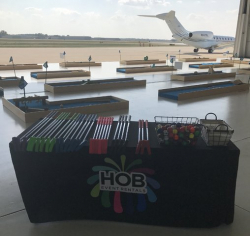 Our company also offers hole sponsors just like the real thing at the golf course to create one of a kind branding for your event. The rental includes delivery and setup at your location within 20 miles of our warehouse. We have 18 holes also if you are wanting a complete course!! Ask about our hole sponsor rates as well to create custom branding.